Where were you on 31st August 2011? 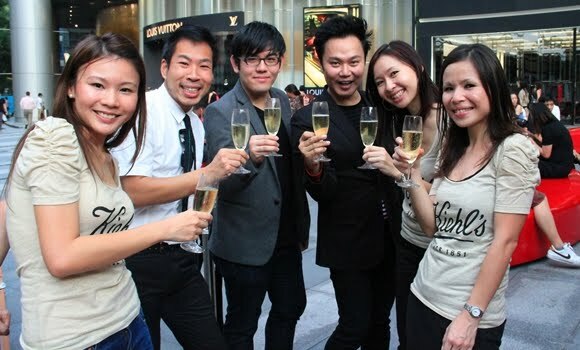 If you passby ION Orchard, you will have seen us!!! 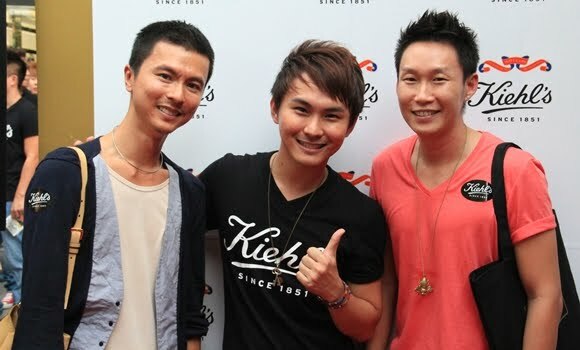 Yes Kiehl's was celebrating the 160th Anniversary at ION Glasshouse!!! 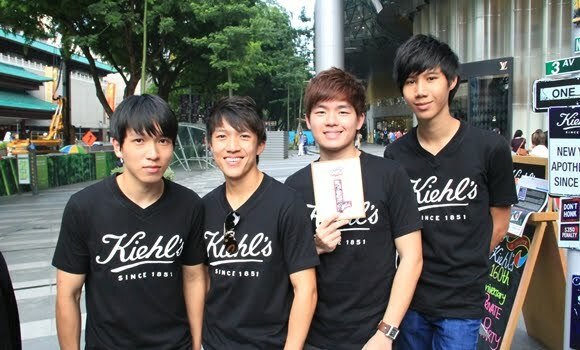 40 Kiehl's Boys gathered in front of ION Glasshouse for Kiehl's 160th Anniversary!!! 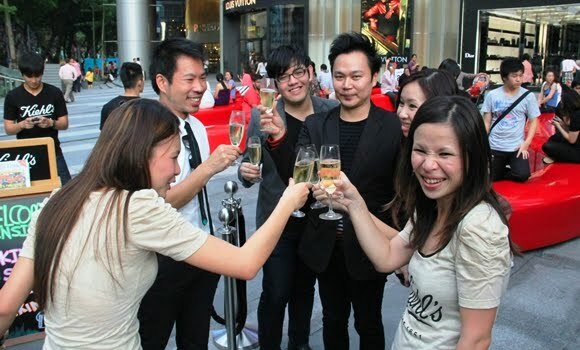 Clarence Lee and another female guest in a game. 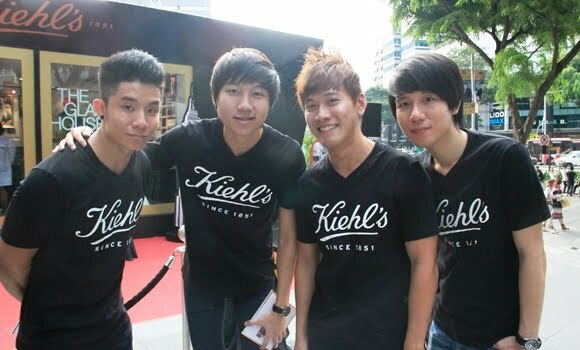 Kiehl's Boys in a memory game with the guests. Kiehl's Boy Leo helping with lighting up the birthday cake!!! 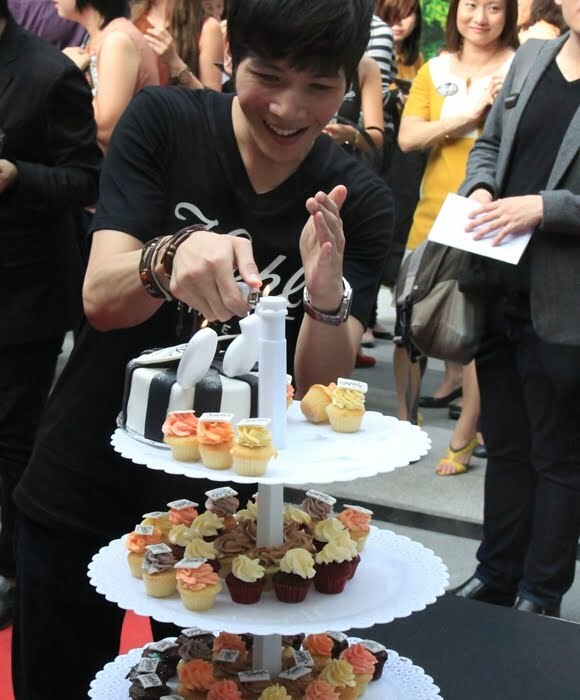 Hundred over people witnessed the cake cutting!!! 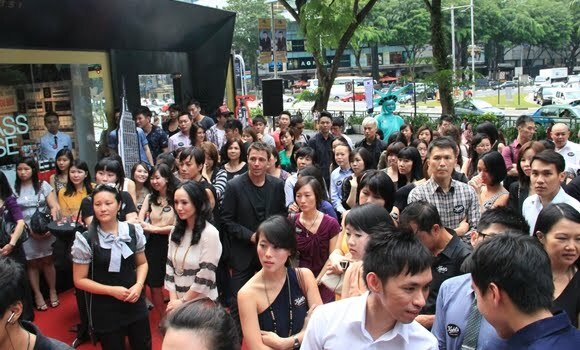 We look forward for greater event next year!!! 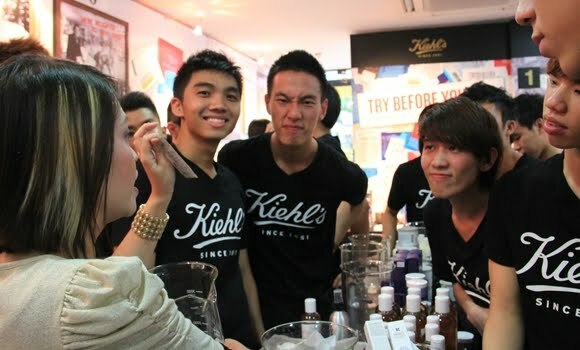 After event, the 40 Kiehl's Boys get closer inside the ION Glasshouse for Sample Time!!! 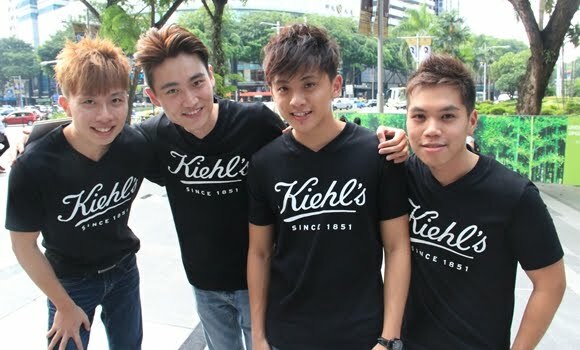 You can tell how much the boys enjoyed sampling the Kiehl's Products!!! 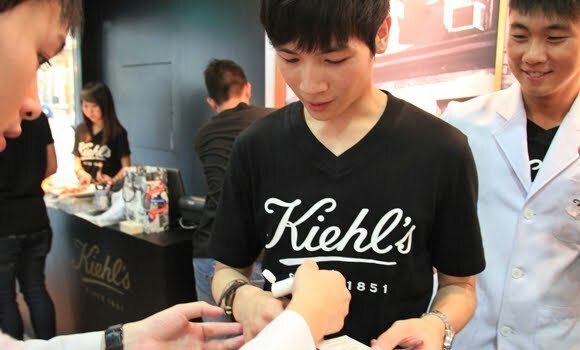 Leo trying on the Kiehl's product. 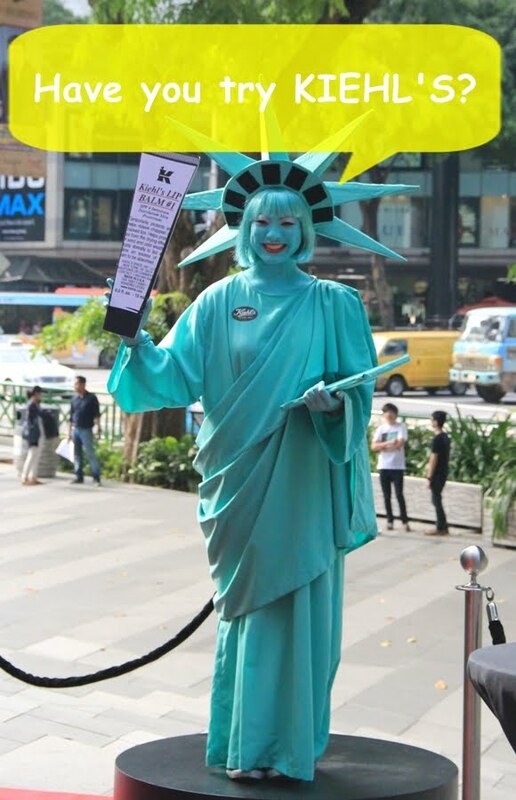 That is our pretty Stature of Liberty!!! Tough job for her! She did very well!!! Good job girl!!! 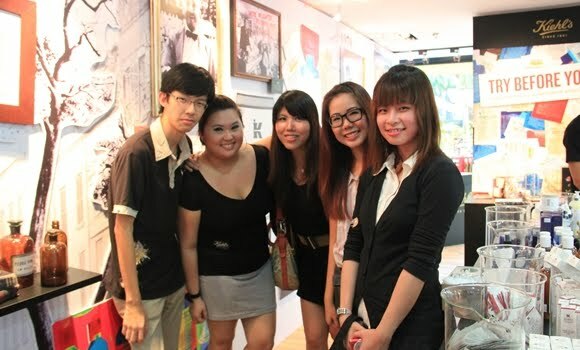 More photo after that day!!! 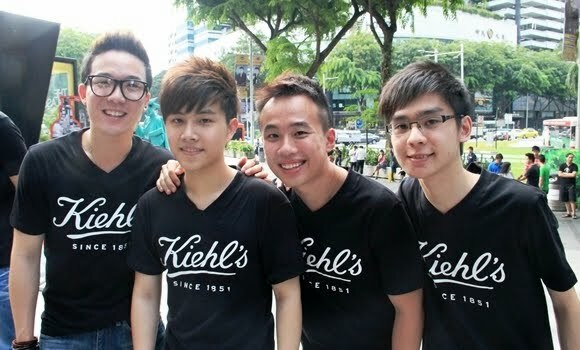 Kiehl's Boys having fun camwhoring!!! 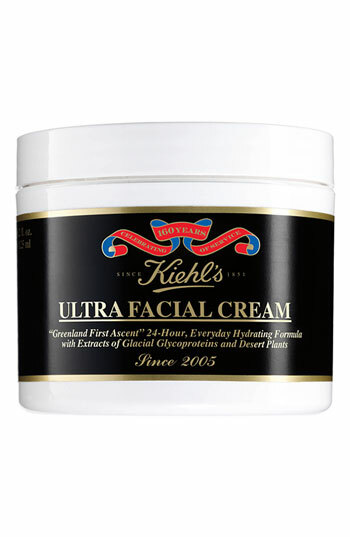 Kiehl's Since 1851, the venerable New York-based purveyor of fine quality skin and hair care was founded as a classic pharmacy in the East Village neighbourhod 160 years ago. 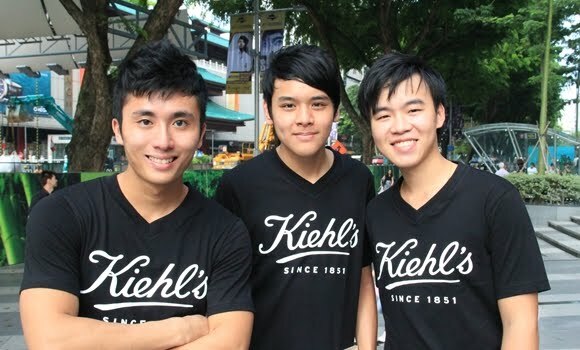 Kiehl's founding family established their apothecary to fufill the individual needs of every customer who came throught its doors. 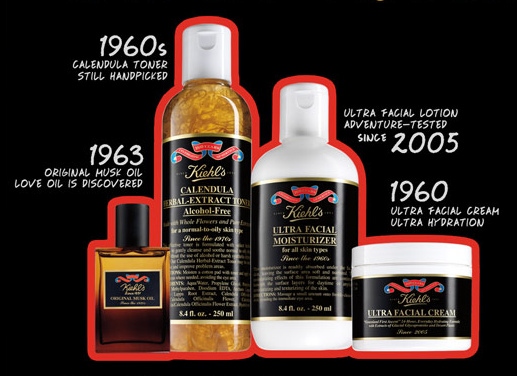 160 years later, the magic of the "Kiehl's Experience" extends around the world as the company continues to delight patrons with its high quality products that assure the health of their skin and hair. Today, the family's message endures: " We are delighted to serve you." In honor of this tradition, Kiehl's proudly introduces the Limited Edition New York Heritage Collection, in stores September 2011, and available in Kiehl's stores worldwide. •24-hour, light-textured daily hydrator leaves skin comfortable and visibly well-balanced, particularly in harsh weather conditions. •Unique combination of ingredients helps reduce moisture loss while drawing and absorbing moisture from the air. •With continuous moisture replenishment throughout the day, skin is smooth and healthy-looking. •Effective toner formulated with select herbal extracts. 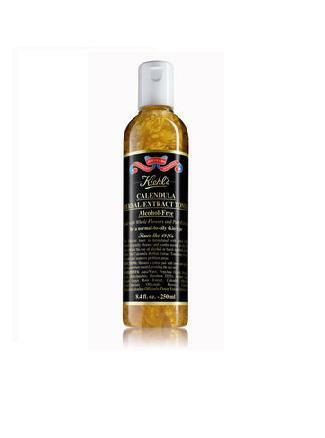 •Gently cleanses and soothes normal to oily skin types. •Contains no alcohol or harsh synthetic drying agents. •May be used to soothe and improve problem areas. 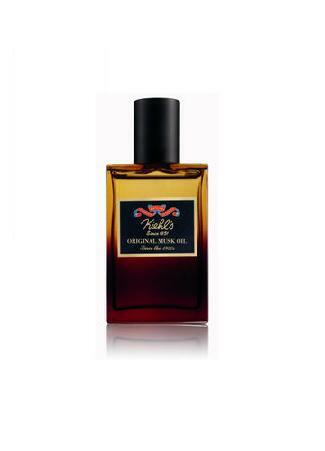 This modern version of Kiehl's classic signature scent is based on the unique blend that is Kiehl's Musk. Kiehl's special Musk "recipe" begins with an initial creamy, fresh citrus burst of Bergamot Nectar and Orange Blossom, followed by a soft floral bouquet of Rose, Lily, Ylang-Ylang and Neroli. Finally, Original Musk Eau de Toilette dries down to a warm, sensual Oriental finish of Tonka Nut, White Patchouli and, of course, Musk, the soul of this distinctively modern scent. 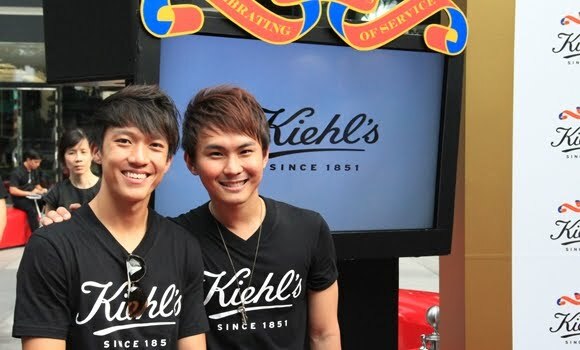 The Kiehl's experience is characterized by a fervant commitment to community that was set in store more than forty years ago when Kiehl's foounding family declared " The Mission Of Kiehls ". In it, the company firmly established its commitment to giving back to the communities in which it serves its patrons. 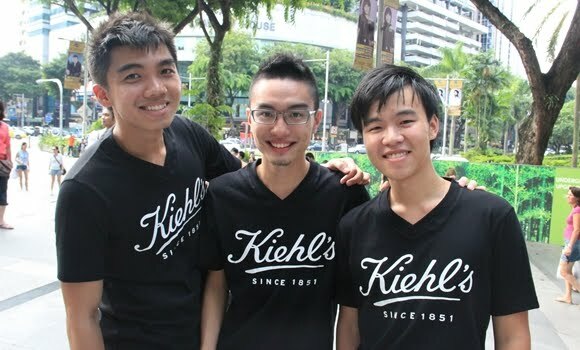 Over the years, Kiehl's and its worldwide employees have been involved in multiple charitable endeavors in support of the company's key philanthropic endeavors: HIV/AIDS research, children causes and environment. In celebration of the company's 160th Anniversary, Kiehl's establishes "Kiehl's Gives" - an ongoing global initiative to promote philanthropy around the world, in proud partnership with Julianne Moore, Pharrell Williams and the Scissor Sisters. 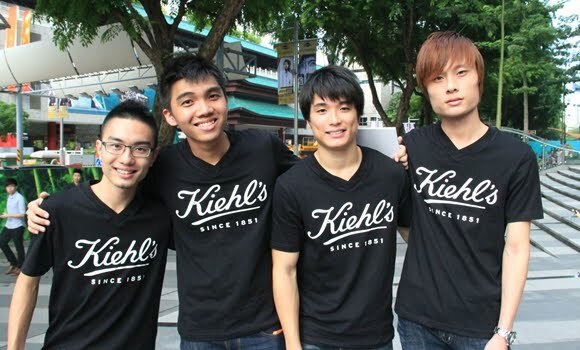 Come visit any of our Kiehl's Store today for sampling!!! We welcome you to try before you buy!!! 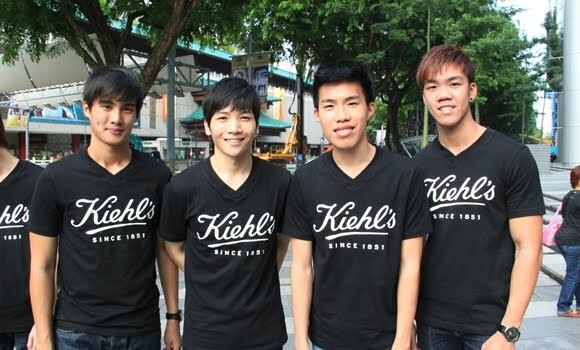 Add Kiehl's Singapore's Facebook here. 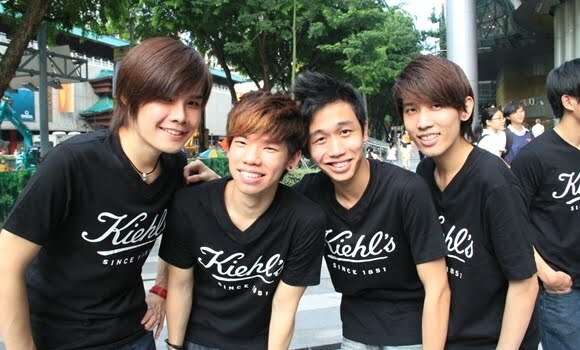 Add Kiehl's Boys's Facebook here.